We have a new planning minister who is making waves. Nick Boles is the son of a former head of the National Trust, so knows all about NIMBYS. But he's seen the light and now realises that we are in the midst of a housing crisis and the only way of alleviating this is to start building on green field sites. He gets the Telegraph to interview him about all this. That really is like walking into the lion's den, because the Telegraph spearheaded on NPPF in 2011, giving over as much space to the National Trust and the CPRE as they wanted. The question is, is he right? Readers of House 2.0 will well know that this is a topic I return to frequently. When I first started thinking about this issue, back in the 1990s, I was firmly in the Boles Jnr camp. I wrote a 5000-word article called Axes Grinding in the Countryside which remains unpublished to this day, even on my own blog. The gist of it was that land could be released for building if the developer was prepared to share the uplift with the neighbours directly, rather than it being siphoned off into some nebulous community schemes as happened then under S106 agreements and will soon be happening with the Community Infrastructure Levy. I also suggested the same ruse might work with wind farms, and idea that is beginning to gain traction at government policy level. The great idea being that the best way to deal with NIMBYs is to buy them off. In fact, the main reason we have NIMBYs is because they see no profit from financial transactions going on all around them, from which they derive no benefit, only grief. How much more palatable a windfarm would be in a parish if everyone living there got free electricity for 25 years. New housing estate? No worries, as long as my rates are paid for the next ten years. Armed with this gung-ho, right wing libertarian approach to planning, I found myself in the company of all manner of odd balls, none more so than the folks at Audacity. But it was whilst researching for a talk I gave at an Audacity conference in 2007 that I uncovered a different, more troubling theme. Audacity were promoting the idea that the answer to our housing crisis (yes, we had one back then too) was to be found in Ireland, where there was an almighty housing boom still roaring ahead. 2007 was, as we now know, the peak of the bubble, and the crash had yet to take place. The run on Northern Rock took place in September that year, and the Lehman Bros debacle a year later. But as with all bubbles, we didn't realise it was a bubble at the time (though I already had my suspicions, as my book sales had peaked in 2004 and were heading steadily south by then). The point is that what had been happening in Ireland didn't fit with the Bolesian viewpoint that house prices are so high because we don't build enough houses. In Ireland, they built new homes like nowhere else has ever seen before. Each year they would build more than the year before. By 2006, it had got to 90,000 new homes a year. If that was the UK, the equivalent level would be over a million. If Bolesian theory were to be correct, you would anticipate that Ireland's houses would be cheap. But the reverse was true: Irish house prices had trebled in the ten years leading up to 2007. Of course they are cheap now, so cheap that now there are housing estates of unwanted homes awaiting the bulldozer. The plan in Ireland is to turn housing estates back into greenfield sites. But the point that stood out in 2007 was that houses prices don't follow the expected rules of supply and demand, and that the availability of credit seemed to be a more important factor. 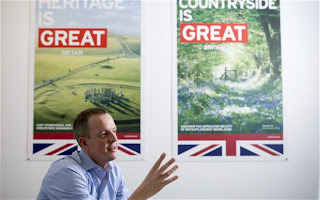 Which brings us back to Nick Boles and his call to unleash housebuilding on an unprecedented scale across the green fields of England. He says: “I genuinely think that the single biggest way in which we are failing to deliver social justice in this country at the moment is unaffordable housing – more than schools, more than jobs, more than benefits." Next he says the housing shortage is immoral, or words to that effect. Well, maybe. But maybe it's not quite as simple as he makes out. The maths isn't really working with him for a start. There are around 25million homes in the UK: we are adding to them at something like 100,000/annum at the moment, which means the housing stock is growing by 0.4%/annum. If he managed to double the rate of building, which is rather more than was happening in the credit-fuelled boom years (c 180k back then), you would still have to wait five years to get to 26million homes. To get an appreciable difference you'd probably need to have something like 30million homes, but that would take 30 years of boom-style housebuilding. That's an awful long time in politics. It's an awful long time full stop. Boles is talking about a unaffordable housing at the moment, and suggesting a solution that would start to be effective sometime in the 2040s. Unless we have another 10 million net migrants by then, in which case we are standing still. Put another way, the size of the housing market is a critical determinant of house prices, but it's something that is very difficult to change, and impossible to change quickly. Which brings us back to credit. Lots of politicians call for there to be more credit available for young people to help them onto the housing ladder. In fact, they tinker around with schemes to help fist time buyers. But the problem here is that easing credit serves only to increase house prices, which is the evil which Boles is complaining about. But without easy credit, there is little demand for new homes. Which means that any hope of building in the green belt remains fanciful. Not because of the opposition of the National Trust and the Daily Telegraph, but because builders don't sense a market. There is another problem Boles isn't confronting. His aim seems to be to lower house prices and yet the majority of the population (who still own homes) don't want this to happen: they would be poorer, and many of them would risk going underwater on their mortgages. We have a weird economic situation where interest rates are incredibly low, but credit is tight: low interest rates stop house prices falling, credit restrictions stop us building. So whilst he might wish for us to start a new building boom, frankly it ain't going to happen. So is there a better solution? No. But the Irish experience tells us two things. If you want lots of building going on, you need easy credit and rising prices (which Boles says he is against). If you want low house prices, you have to restrict credit. But you can't have it both ways. If he really wanted to "solve" the housing crisis, he could put a stop to all new mortgages for five or ten years and see what a housing market looks like with no credit at all. As for me? Well I think I've quietly ditched the gung-ho bit and have become much more respectful of the NIMBYs — not that this stopped me falling out with the National Trust! Maybe I'm getting old, but I'm just not sure that a housing boom is really going to solve our problems right now. And I rather like the way the Germans do it — see last blog piece. Doesn't the Irish experience show that it does work out the way he expects in the long term? Even if it will only be tinkering around the edges & won't make a large difference, that doesn't mean it isn't worth doing. Otherwise it's an endorsement of 'more of the same' & houses for the few, which isn't a very nice vision for the future. While I think NIMBYs have a point, I don't think they should dictate planning policy - they probably don't like the German way you admire! Well This Irish experience is salutary. It suggests that what drives house prices is credit, not supply. Credit also drives housebuilding. With lots of credit, you get rising prices and this leads to more housebuilding. QED if you want more housing, you first need rising house prices. Boles is suggesting that we should have more housebuilidng AND lower prices. Mark, are you familiar with Fred Harrison's [ http://en.wikipedia.org/wiki/Fred_Harrison_(author) ] model of house prices (strictly, land prices) as the key driver of the crash/boom economic cycle, and the need for a land tax to stabilise this? This would not remove the incentive to build houses, but rather encourages householders to relinquish oversized properties so as to place their capital into a more profitable long-term investment. Not only does it encourage householders to relinquish oversized properties but encourages developers not to sit on undeveloped land. I understand that Switzerland has a property tax based on rental value of the property. As I understand it, against the notional rental income you are able to offset maintenance expenditure which seems to have a number of added societal benefits - it gives an incentive for homeowners to keep their properties in a good state of repair, it encourages employment (since there is much less incentive to DIY), and I suspect it also encourages homeowners to do work to a higher standard.